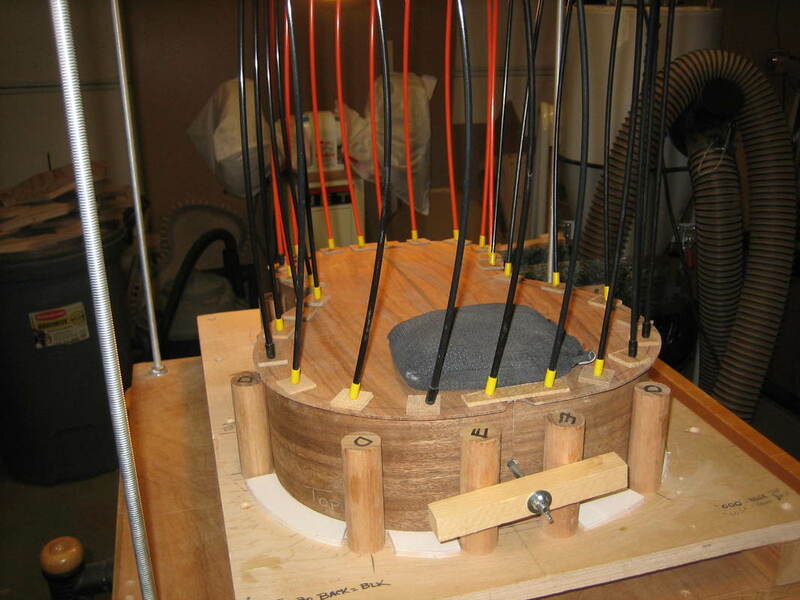 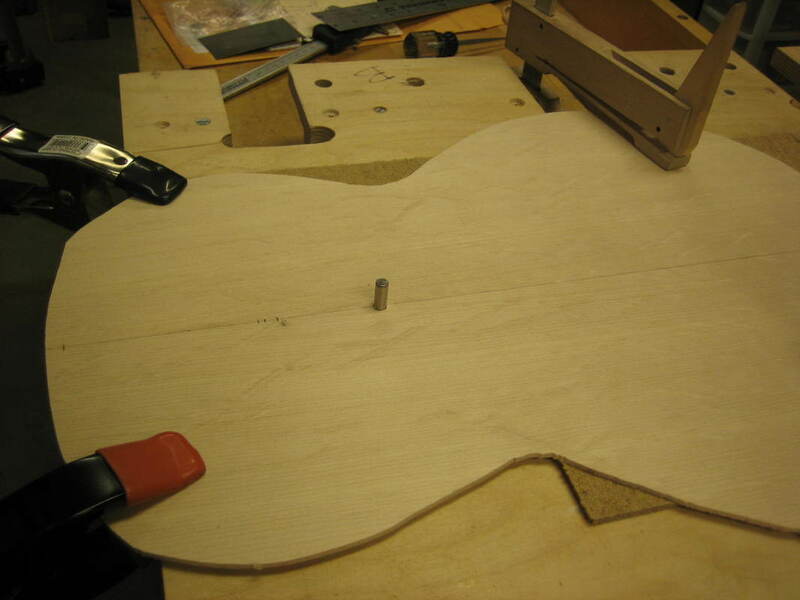 I have five grandchildren and want to build a guitar for each of them as they become old enough to play. 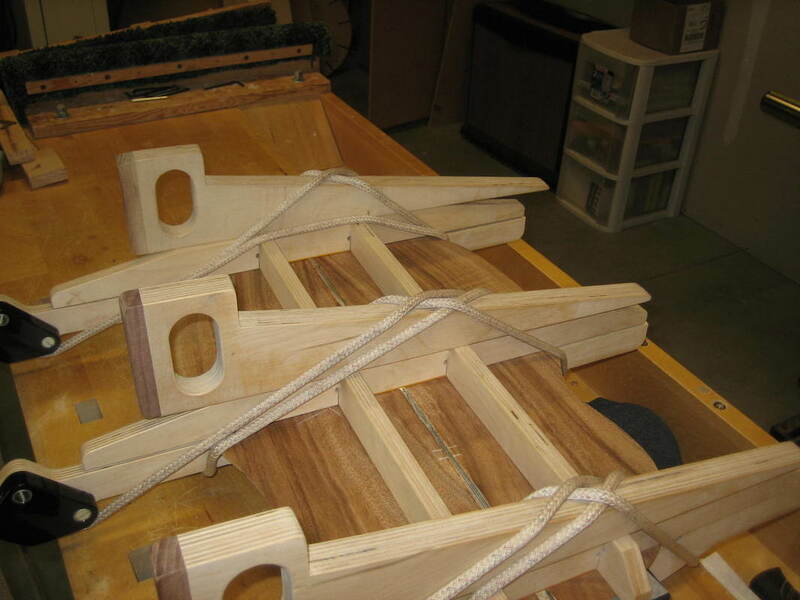 I have built two already and am now starting on the third for Gracie. 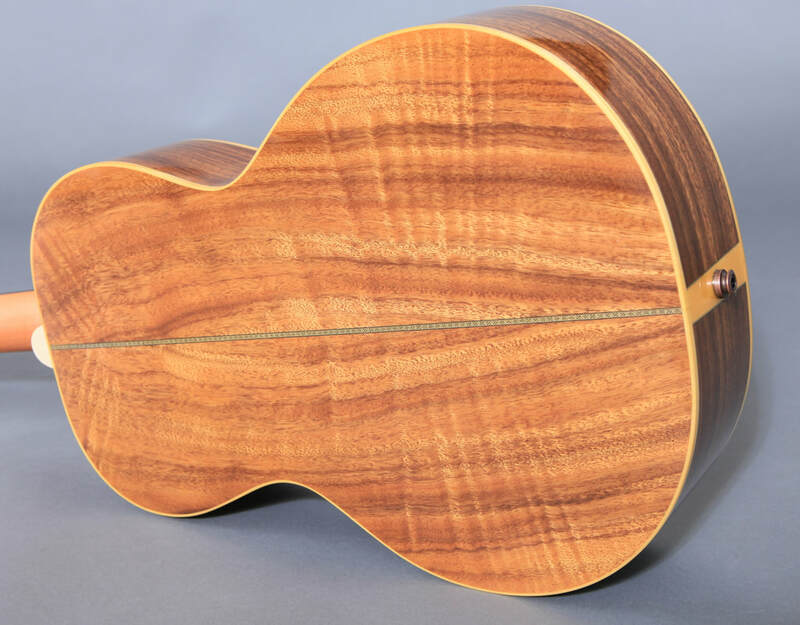 We have chosen the SMG model (small parlor guitar). 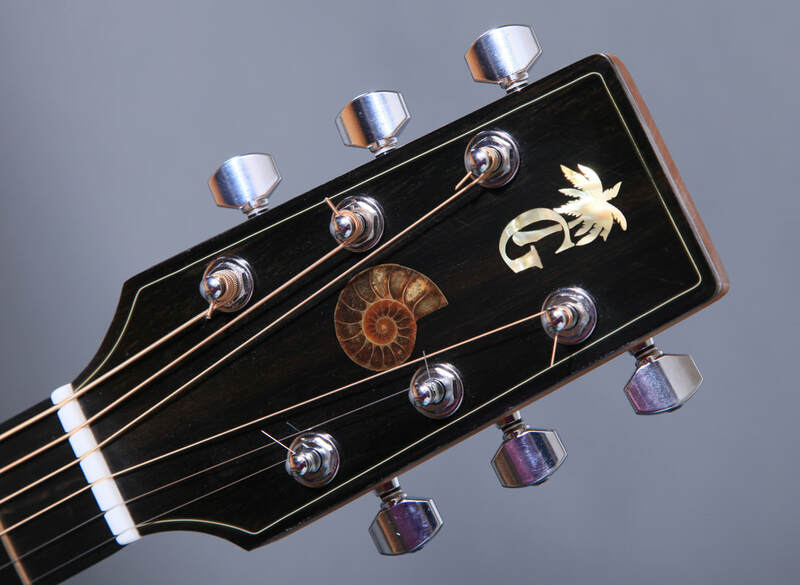 This guitar is small enough for young hands but puts out a full bodied guitar sound. 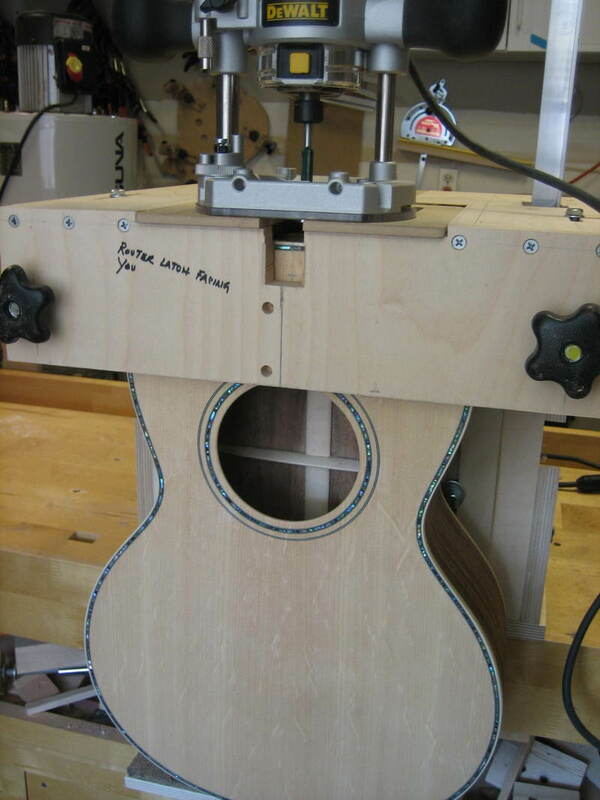 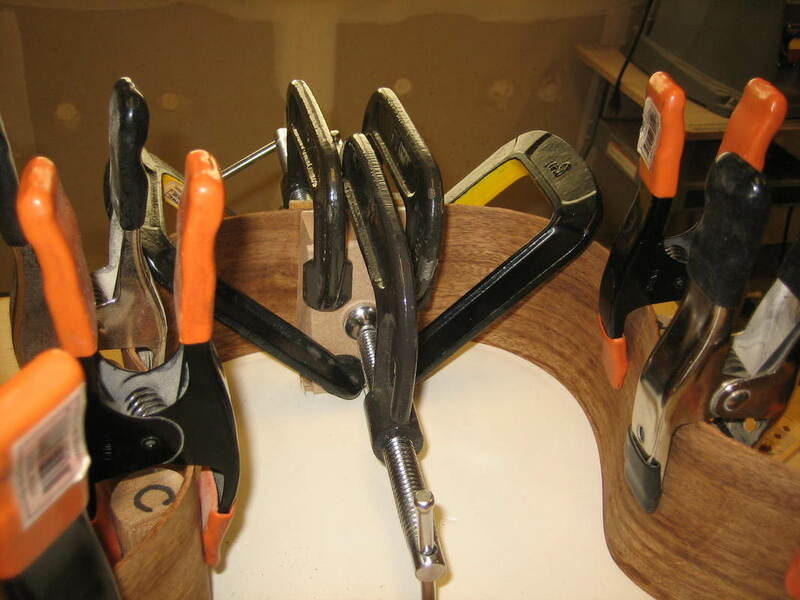 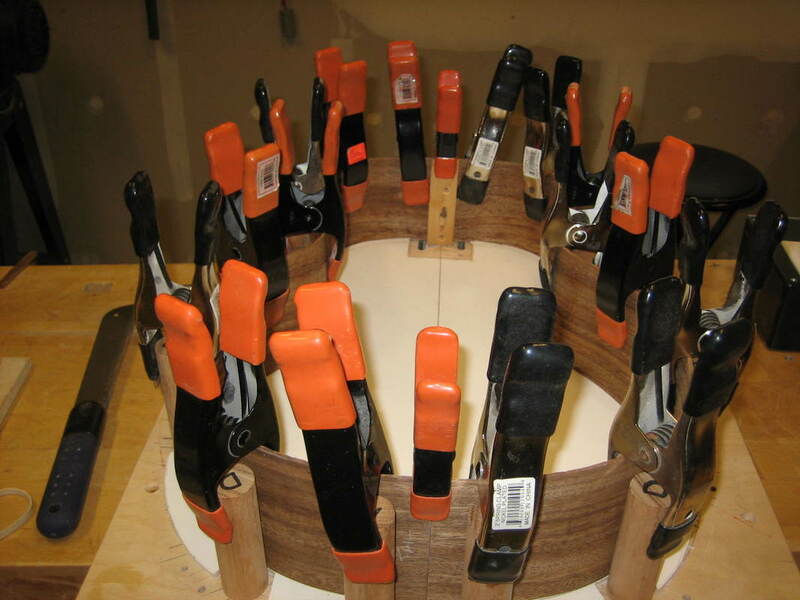 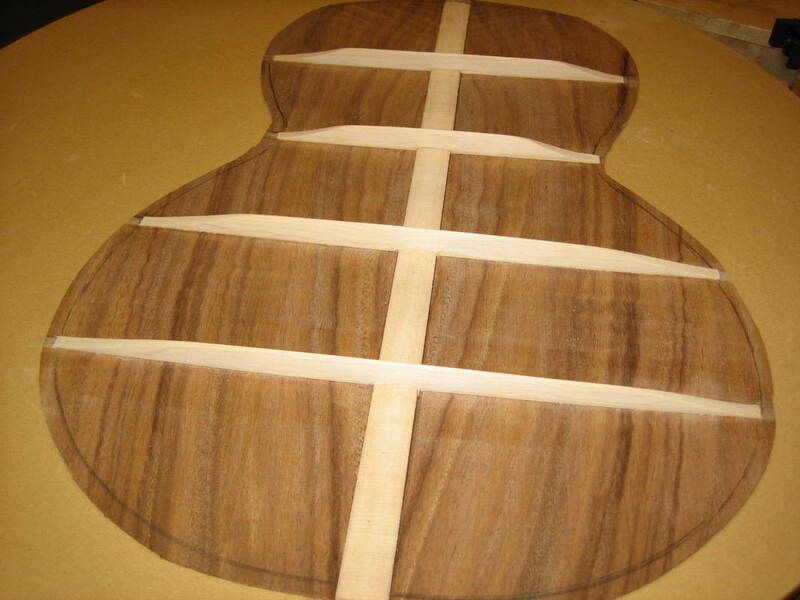 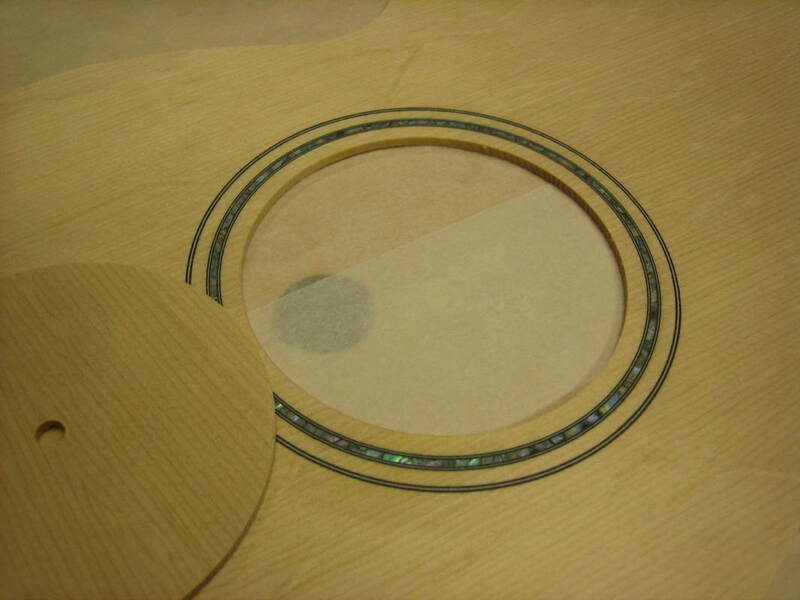 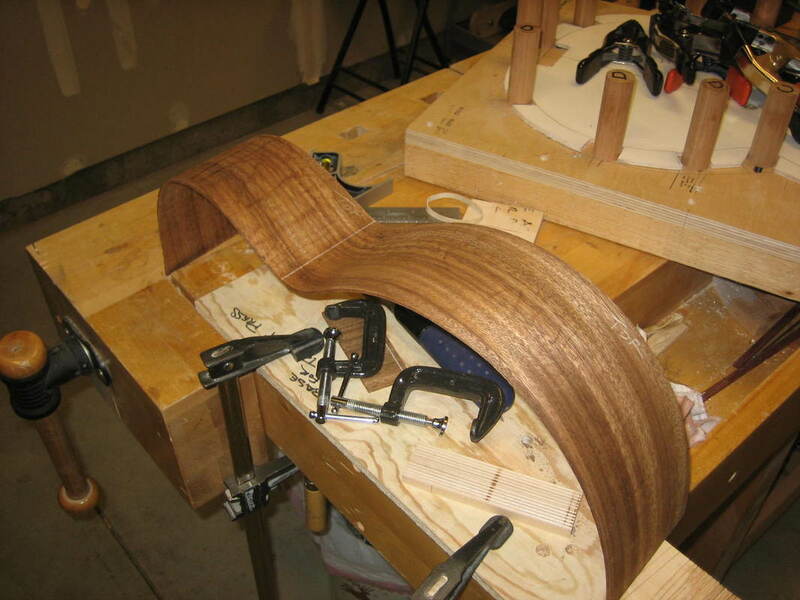 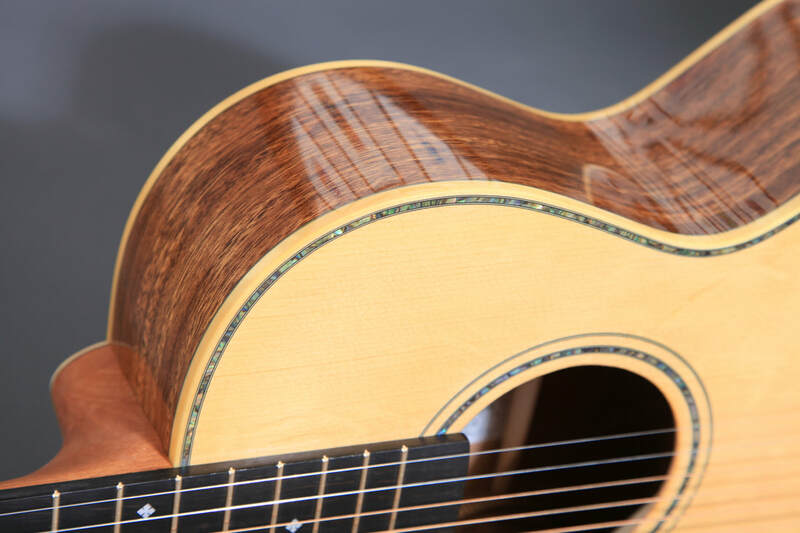 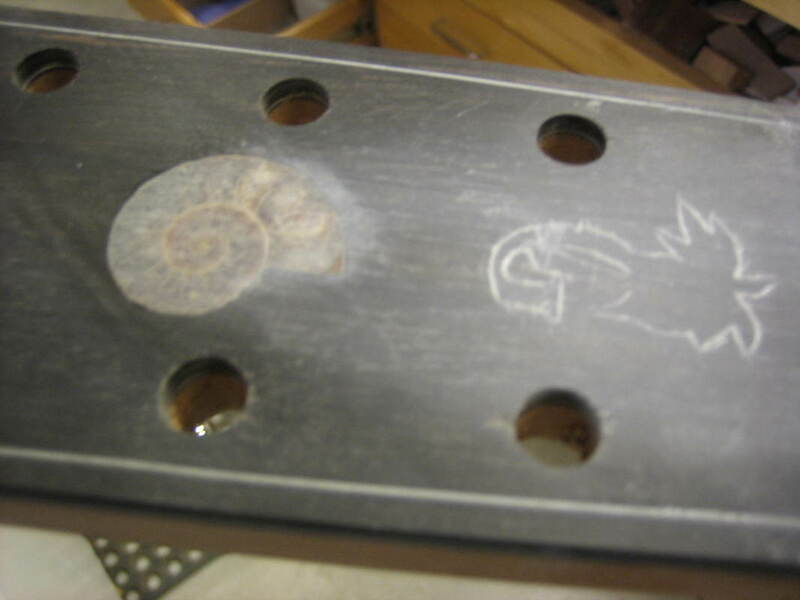 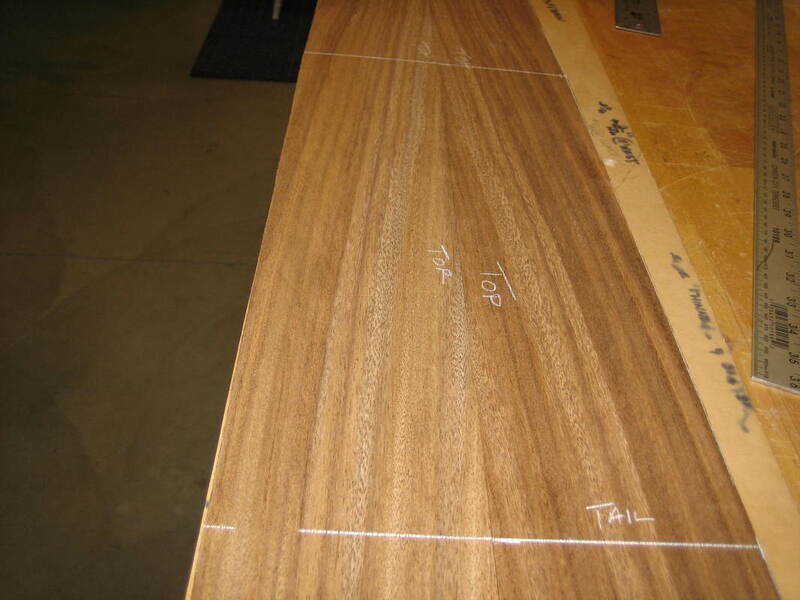 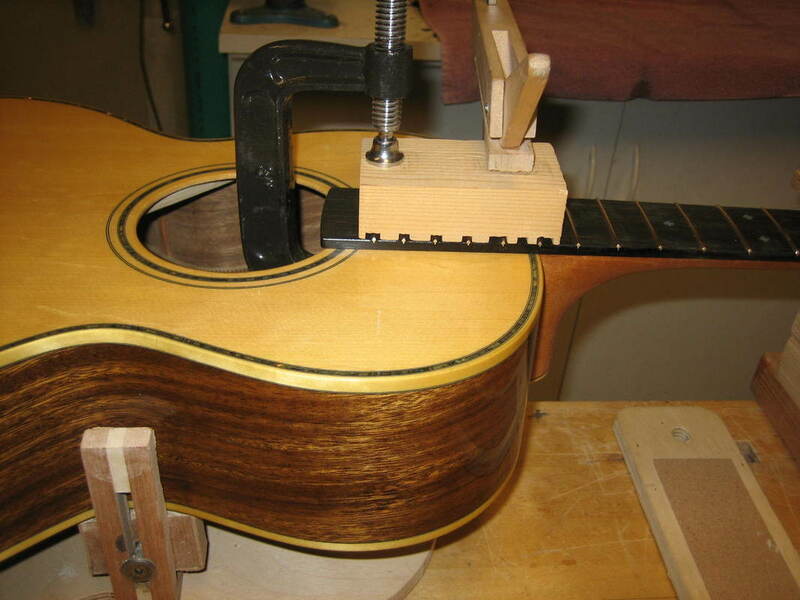 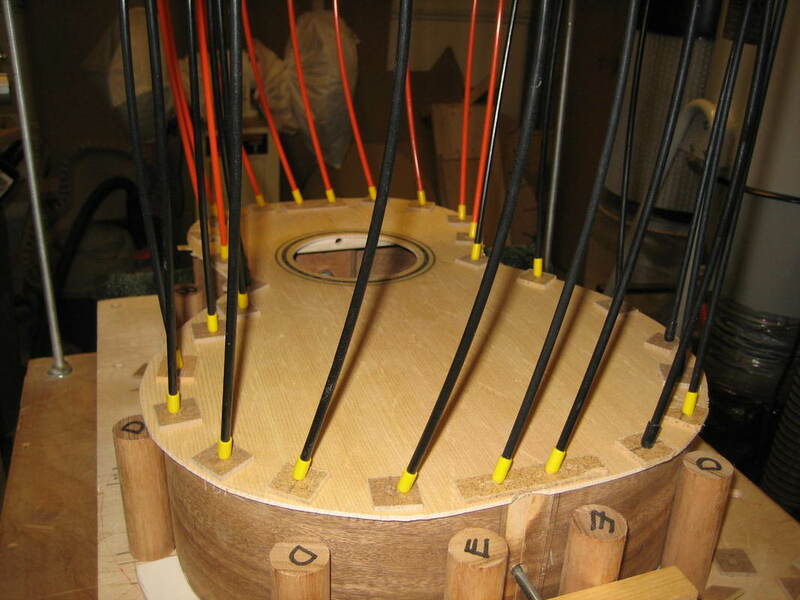 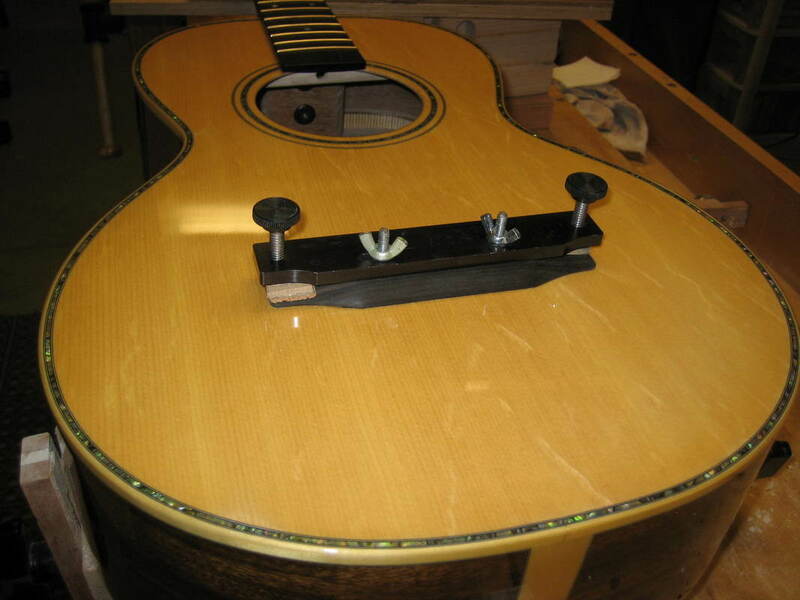 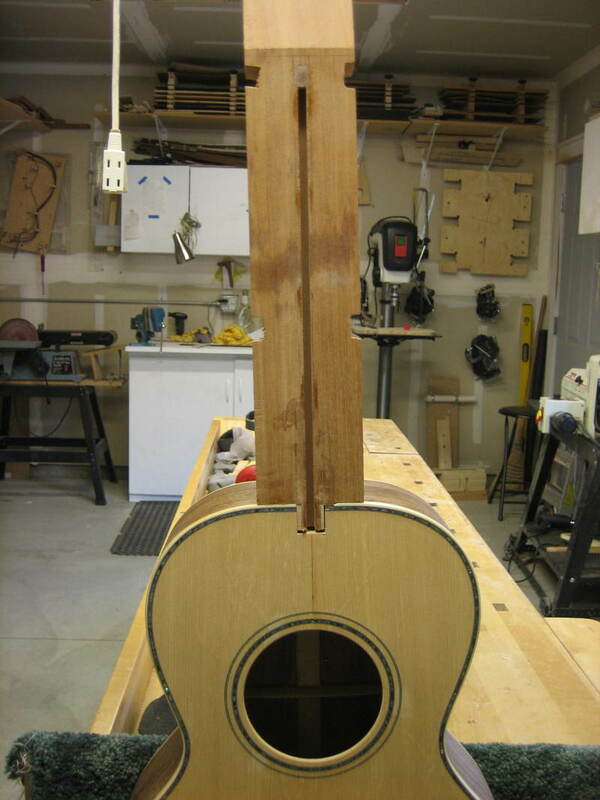 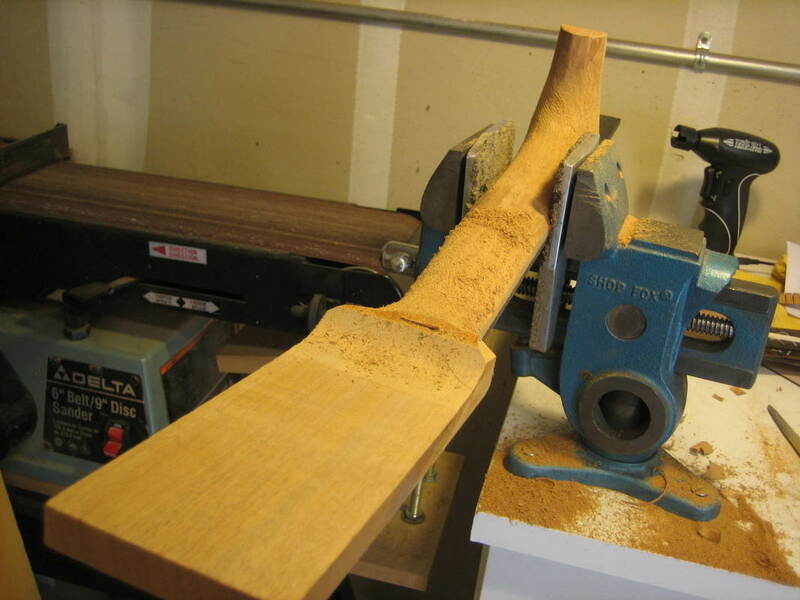 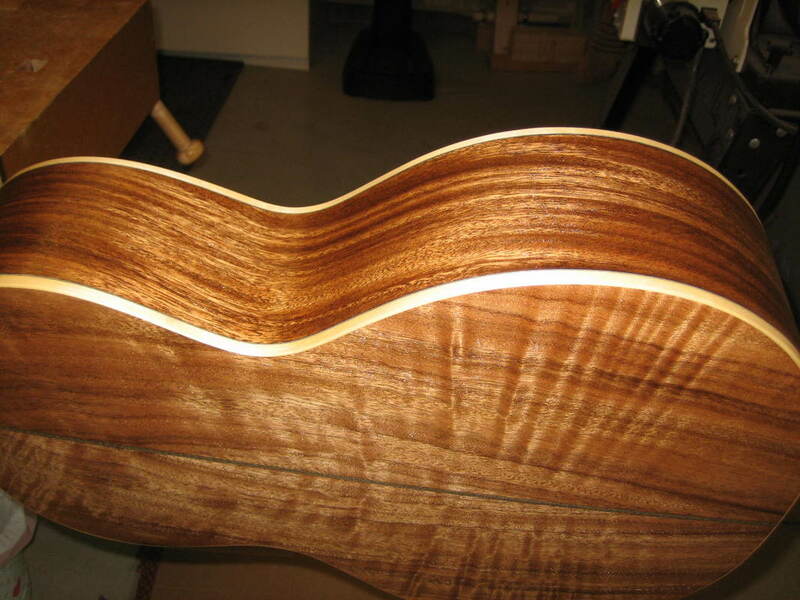 It is the same shape as the" Voo'Doo Guitar" and the parlor I built for Dave M.
Gracie is helping with wood selection and will be picking her own inlays. 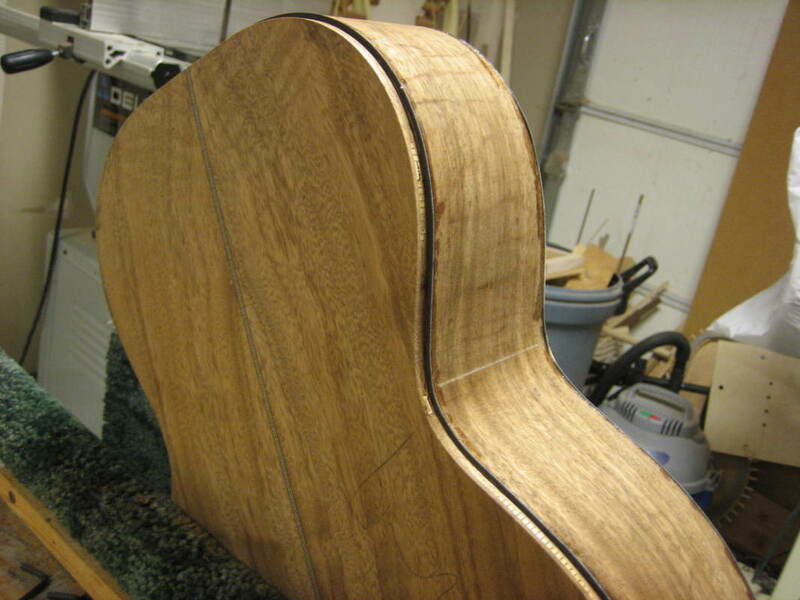 She has chosen a nice set of 'Monkey Pod' for back & sides. 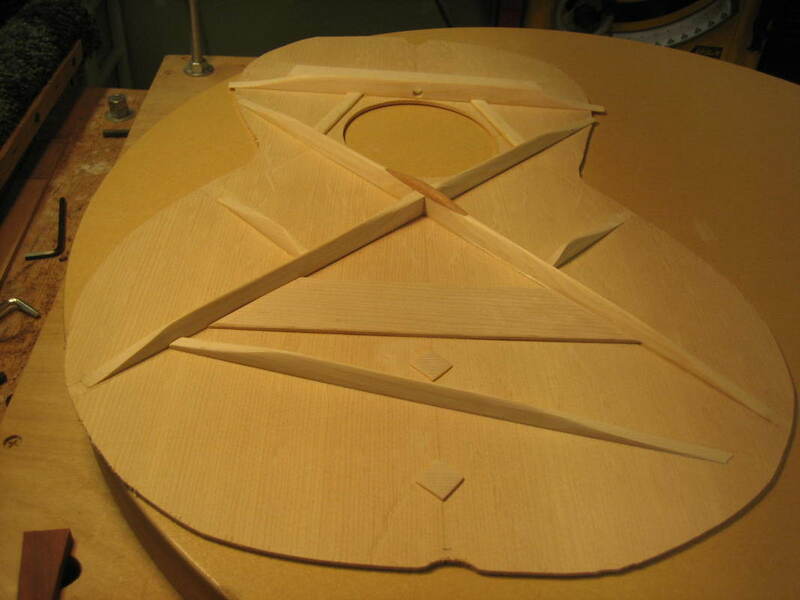 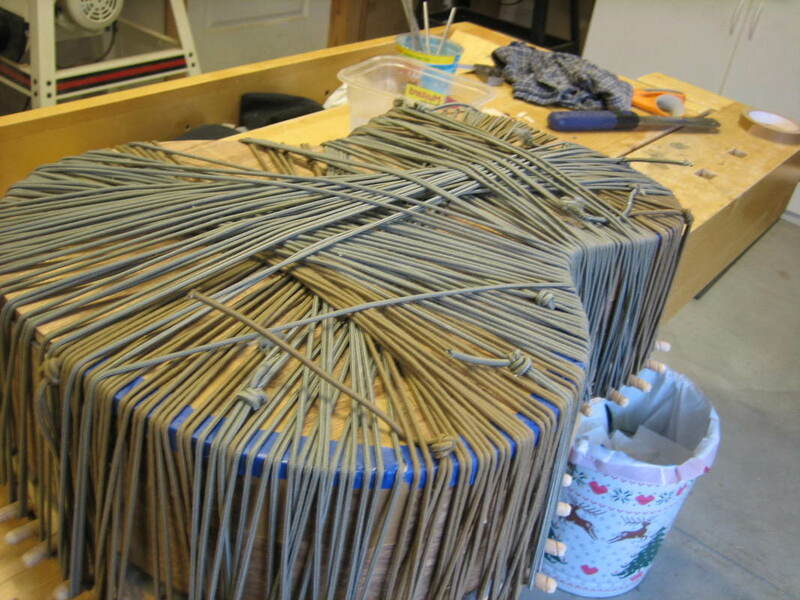 Top bracing installed and shaped. 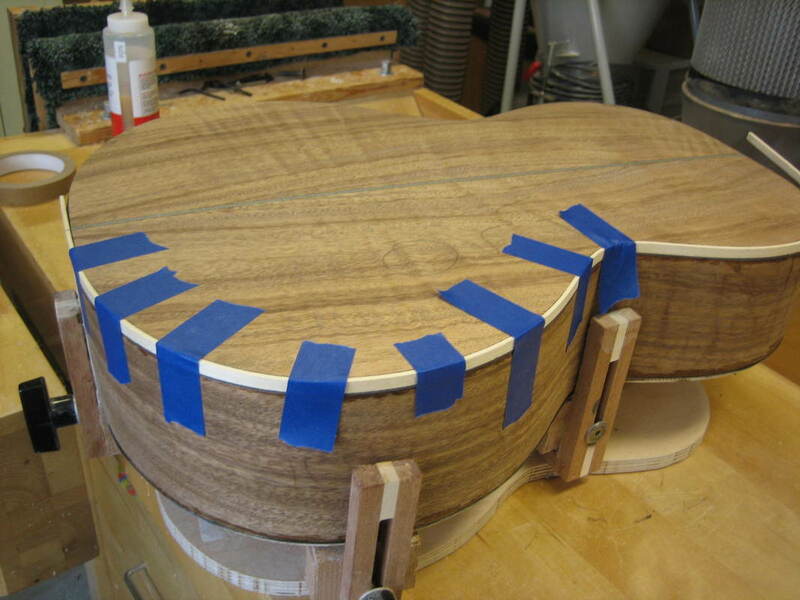 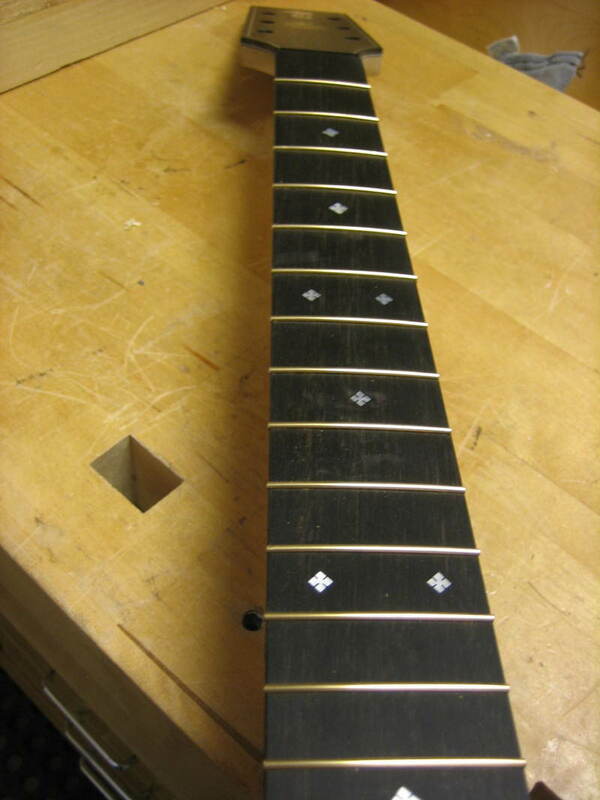 Pick guard from Monkey Pod cut offs from the back. 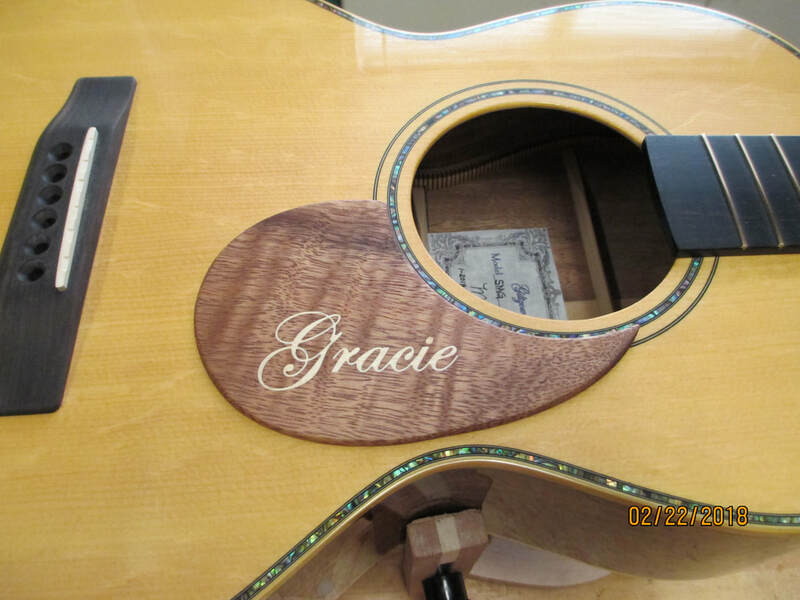 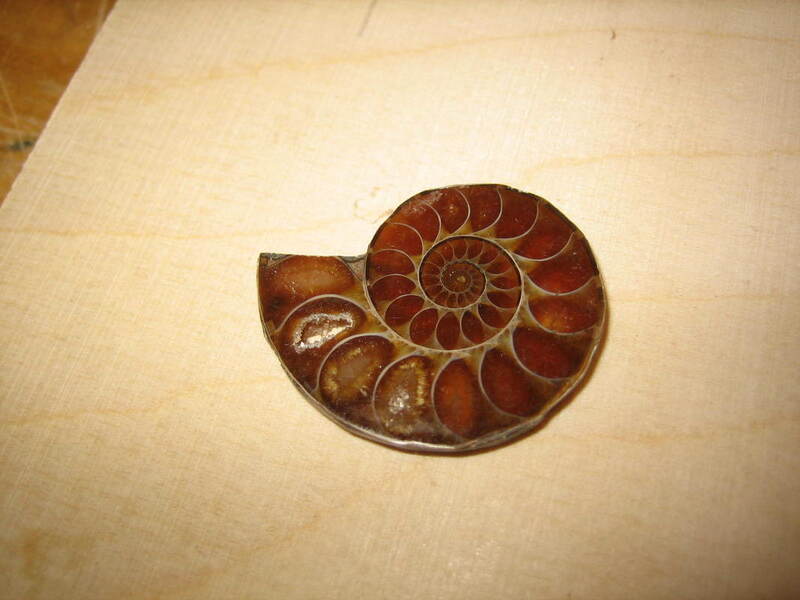 Gracie inlay from Aspen that was used for the bindings.